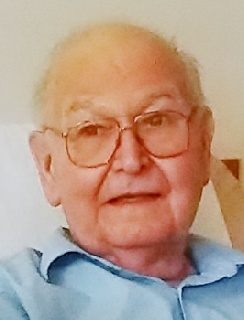 Thomas C. Dixon, 81, a lifelong resident of Frackville passed away Wednesday at Lehigh Valley Medical Center – East Norwegian St., Pottsville. He was an U.S. Army Veteran having served in Germany. He worked as an inspector for the former Zapata Industries, Frackville and previously was the owner of the Texeco Gas Station on Lehigh Ave., Frackville. He was a member of the Trinity Evangelical Congregational Church, Frackville. Thomas enjoyed hunting and being outdoors. He took pride in his yard, and liked to change the seasonal decorations to get people to take a “double look” at the mannequins he displayed on his front porch for the holidays. He was preceded in death by a son; Brian Dixon, May 2, 2017; a brother and sister-in-law Ronald and Mary Dixon. Thomas is survived by his wife of 57 years, Barbara Colihan Dixon; a son; Bill Dixon; daughter-in-law; Kim Dixon, all of Frackville; three grandchildren; Brian Dixon, Jr., Brianna Dixon and Joshua Dower; a great-grandson; Jasper Dower; nieces and nephews. A Memorial Service will be held at 7:00 p.m. Friday evening at the Trinity E.C. Church, Frackville, with Rev. Jeff Merwine, officiating. Relatives and friends are invited to meet with family from 6 to 7 p.m. Friday at the church. Interment will be at the convenience of the family in Odd Fellows Cemetery, Frackville.